Creative Resumes – Are They Worth All The Time and Effort? So obviously Eugene loves animating. This resume is bright! I don’t see how any recruiter can miss it and it has an overall young feel to it. I like that she gets to the point and states that she is simply looking for a job and wants to work for an awesome company. I think this is a fun young resume for a recent graduate student. 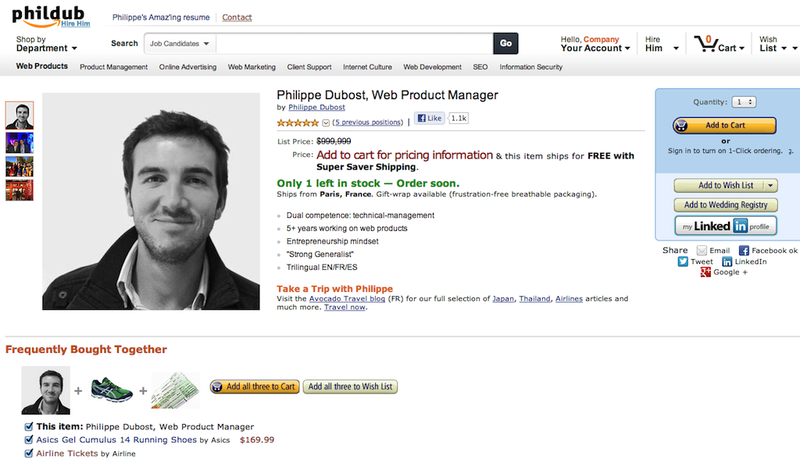 What better way to stand out when you’re just starting your career. 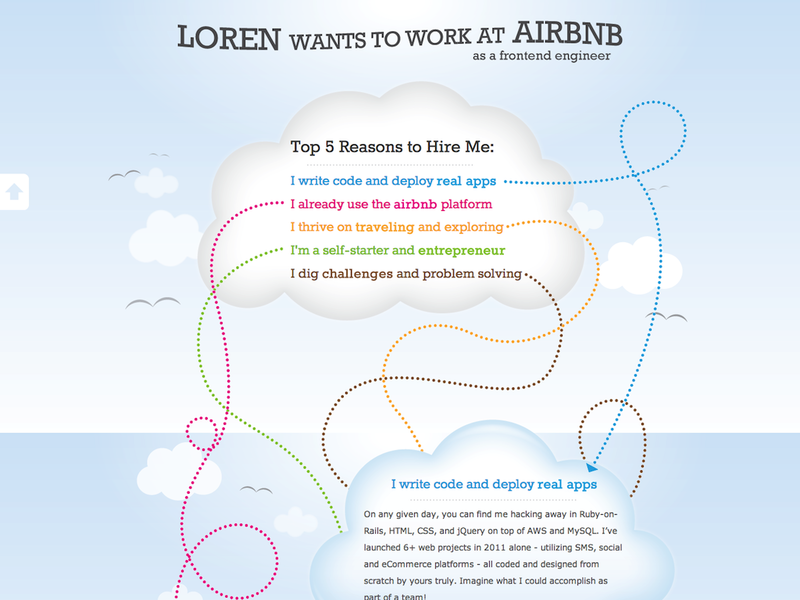 Here’s a great resume that is focused on getting the attention of a very specific company – Airbnb. I think this resume is beautiful. It’s really nice to look at and very easy to follow. Loren has 5 points on why he thinks he should be hired and you just need to follow the coloured arrows to learn more about the points. I think he did a great job getting his message across. 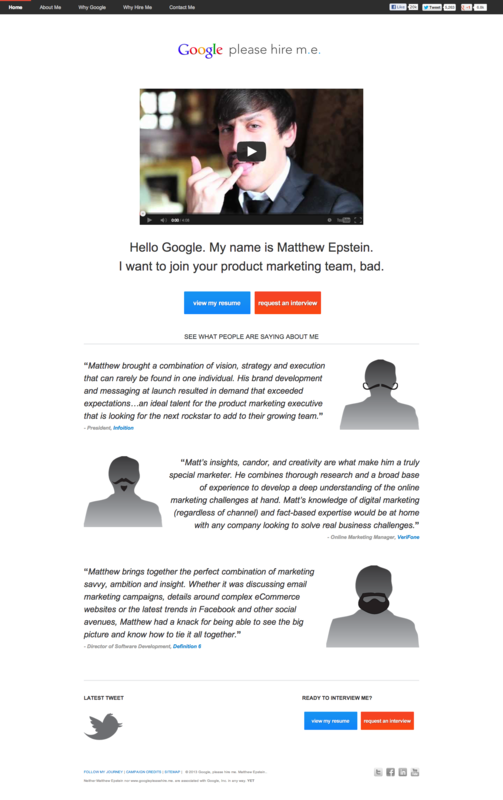 Matthew Epstein is not just a man with a moustache. 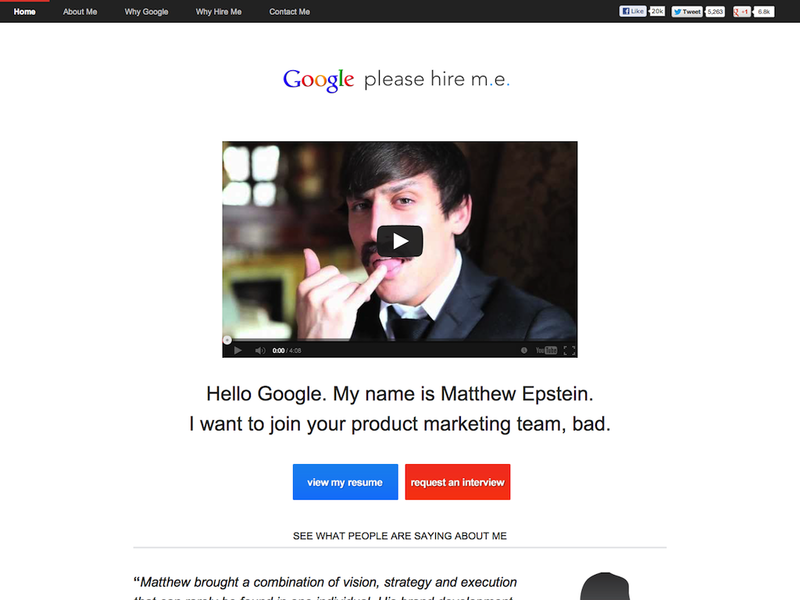 He created a very funny video resume and landed his dream job. It wasn’t with Google but because of his creative resume he received many interviews from marketing departments and like he says landed his dream job. Not everyone can pull off a video resume like this but I think Matthew did a great job. It all depends on the industry you want to work in. If the job/industry you want loves and hires creative people than making a personalized resume might give you the advantage over other candidates. All these creative resumes still provide all the information a recruiter is looking for: contact information, work history, academic history, technical qualifications and of course some extras such as humour. I think taking the time and effort to put together a creative resume is worth it. The downside of having a creative resume is the pain of updating it. If you think updating a regular CV is time consuming try creating/updating a video resume. Showcasing yourself in this unique way also puts a lot of pressure on your next resume. 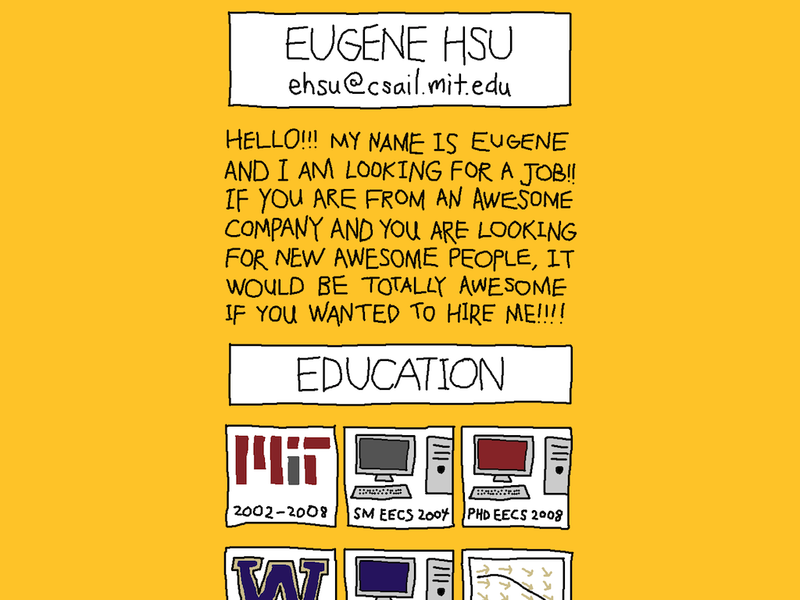 Will it be as creative as your last resume? Should it be even more creative and unique? One thing I do know is that if I came across any of these resumes I would definitely give the candidates a call.